From Kamery Solomon, #1 bestselling genre author and creator of the bestselling series The God Chronicles, comes SWEPT AWAY, a time travel romance fraught with danger and secrets on the high seas! Get ready to be Swept Away! For more than 200 years, the Treasure Pit on Oak Isle has baffled treasure hunters, engineers, and the common man alike. When Samantha Greene arrives, she finds her estranged father has spent years funneling energy and finances into the endeavor, finding nothing. When an accidental death occurs in the pit, fulfilling the prophecy that seven lives must end before the treasure can be found, the search kicks into high gear, with more than one party vying for the secrets that lie below. Finding herself the closest to the treasure anyone has ever been, Samantha throws herself into the work, landing among the coveted prize. Just as she’s about to discover what’s truly hidden beneath the island, the pit begins to flood with ocean water, sweeping her away despite her attempts to swim to the surface. 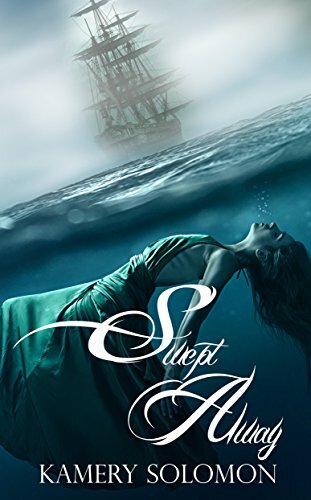 Upon awaking, Samantha discovers that, not only did she not drown, but the year is 1695—one hundred years before the Treasure Pit was even discovered. Carried off by the pirate Tristan O’Rourke, a rouge Irishman with more than his share of secrets, she soon finds that there is much more than she realized in play. Will she discover the secrets of Oak Isle, or will an unexpected love keep her from finding out the truth? Will she ever make it back to her own time? Perhaps the real question is this; will she want to?